Talk on the Rock is KSTK’s live call-in show. Every Tuesday at 1pm we welcome a local guest to discuss events and topics of interest to our little island town. 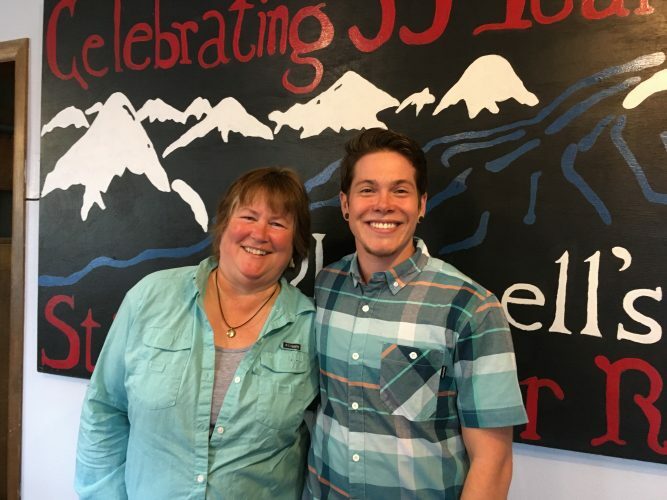 For this week’s episode, host June Leffler spoke with Eli Michael and Vivian Prescott about the LGBTQ focused group Community Roots. Eli says visibility is essential for gay and trans folks. And that all folks are asking for is respect and compassion. Vivian and Eli say that down the road the group will host more educational opportunities, an open mic and even a drag show.